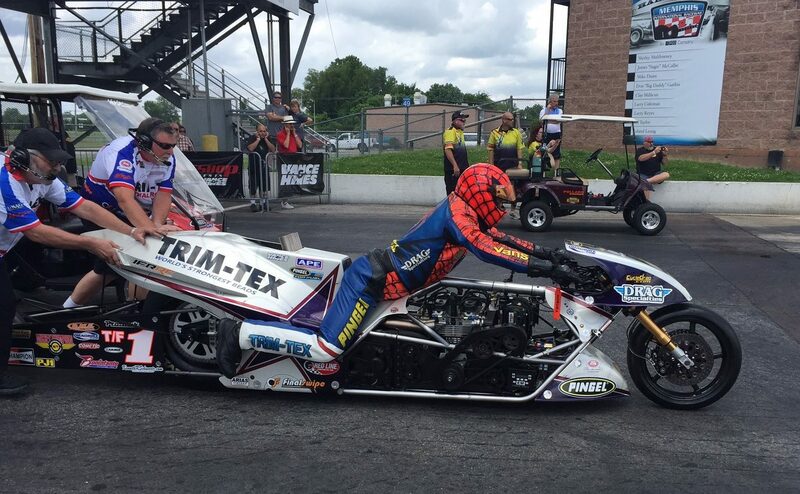 ManCup Top Fuel Motorcycle point leader and 16-time champion Larry “Spiderman” McBride is ready to get back to work at this weekend’s, July 15-16, MTC Nationals, from beautiful eighth-mile track, Galot Motorsports Park in South Dunn N.C. The legendary racer will debut a new look. 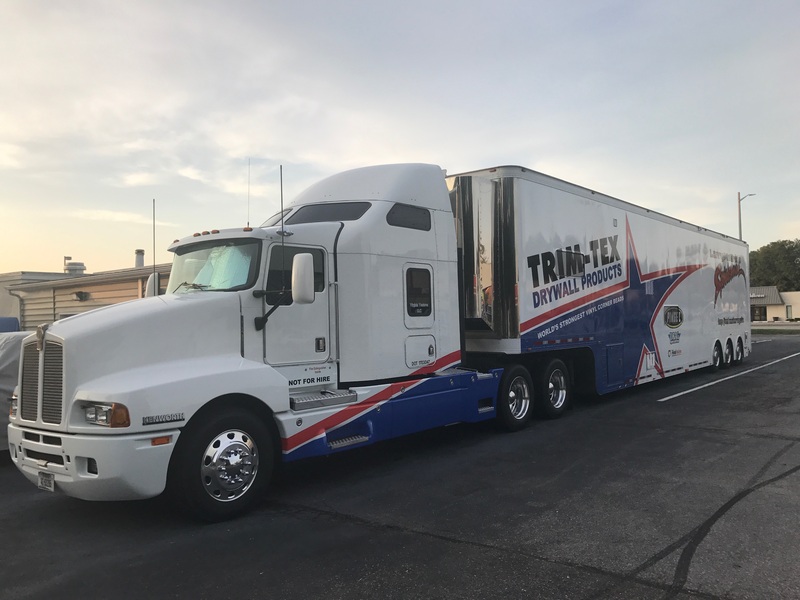 After the last event rained out in Memphis, McBride made a trip to the headquarters of his primary sponsor, Trim-Tex Drywall Products in Chicago Ill. 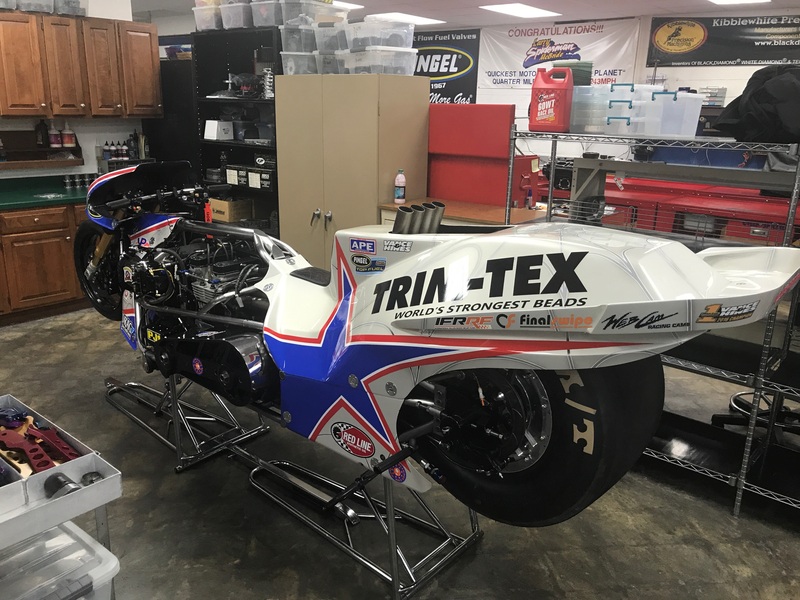 The mission was to get his popular “Star” motorcycle wrapped in the traditional Trim-Tex colors. 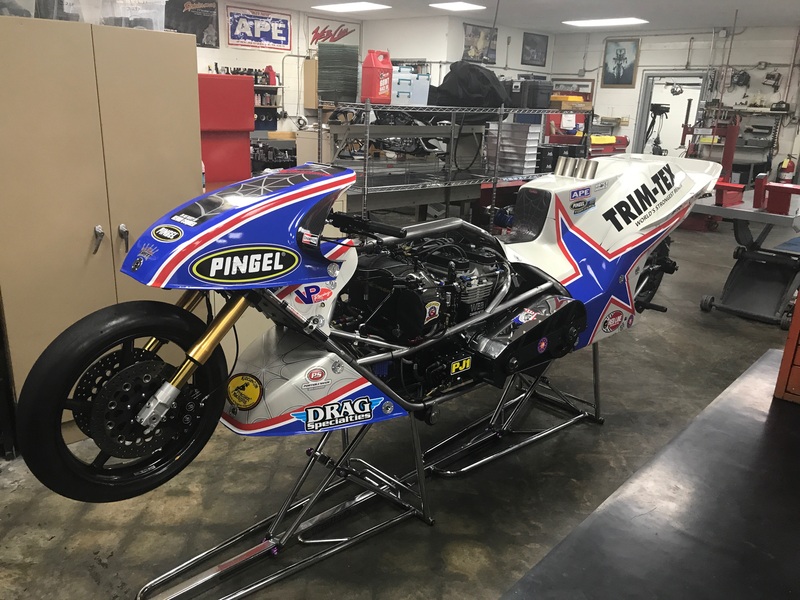 The team wanted more of a classic blue on the machine, as opposed to the way the bike’s star would sometimes look purple in certain lighting. Trim-Tex President Joe Koenig was equally pleased with the finished product. 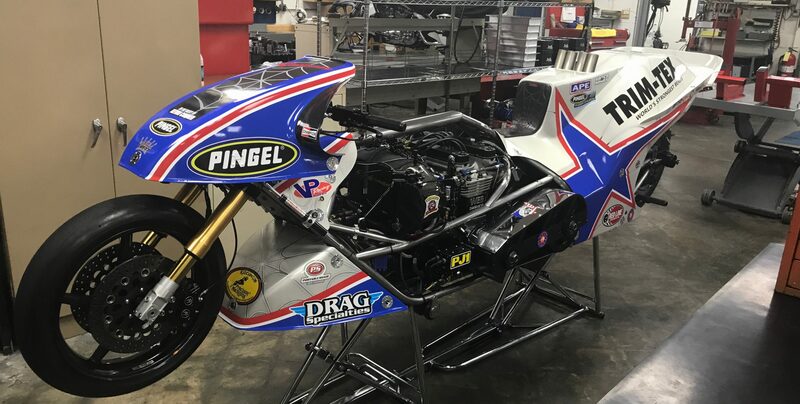 The ManCup Galot race will be the first time McBride has gone eighth-mile racing in about a decade. McBride’s best E.T. on the eighth-mile is a 3.69 on his former machine “Blue” and a 3.82 on “Star.” McBride says his brother and crew chief Steve McBride will not have to make many adjustments to account for the shorter track. The Spiderman will ride his 23-point ManCup lead into Galot, ready to battle a competitive field that is expected to include No. 2 in the points Sam Wills, Ian King, Chris Hand, Dave Vantine, Mitch Brown and perhaps others.